Summary: In most churches, the emphasis of this day has shifted from the Triumphal Entry to an introduction to our Lord’s suffering and death. 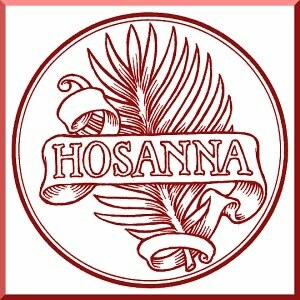 However, one cannot be without the other, as I have previously written; e.g., Hosanna and Palm Branches and elsewhere. Our King rode into Jerusalem to free fallen mankind from Satan’s fetters, releasing us from the chains of sin, death, and hell. 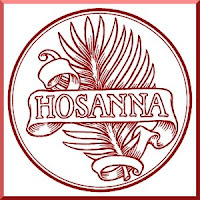 Yet He also takes us captive, binding us not harshly, by threats and violence, but gently, with the sure and certain hope of our resurrection to life everlasting. To emphasize that this salvation is not only for Israel but also for us Gentiles, I added verse 13 to the appointed Old Testament reading from Zechariah 9:1-12. Sermon Text: Rejoice greatly, O daughter of Zion! Shout aloud, O daughter of Jerusalem! Behold, your king is coming to you; righteous and having salvation is he, humble and mounted on a donkey, on a colt, the foal of a donkey. Audio: Click to hear the MP3 of Prisoners of Hope, preached to the saints of God at Faith Lutheran Church, Knob Noster, Missouri. See Aardvark Alley for more on The Sunday of the Passion.